This bedroom felt small before we made custom drapes. 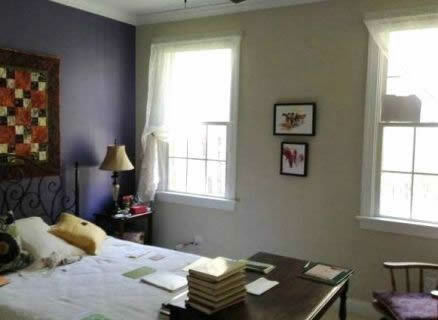 By hanging the drapes outside the window frame the room felt larger. Our custom custom headboard with nail head trim also adds to the look. We reupholstered the client's chair, in a rich teal chenille fabric. Our fabric selections were based on the original inspiration piece, the colorful art! 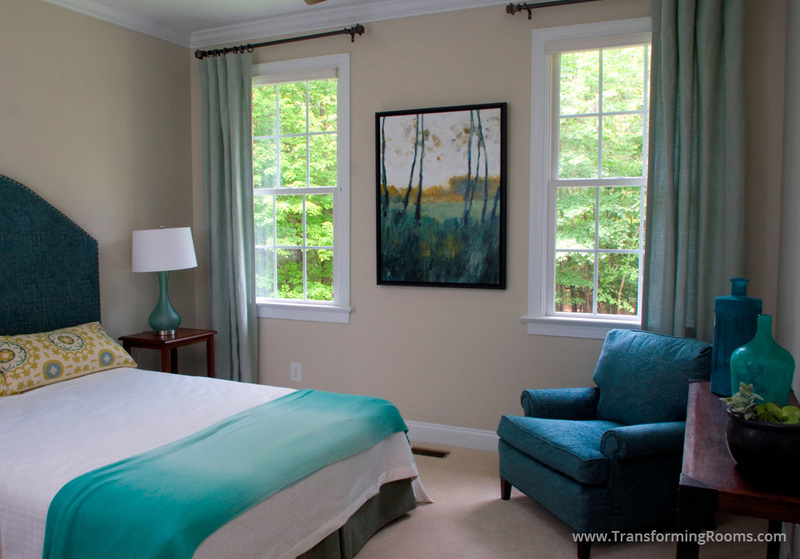 We literally transformed this Jamestown, NC bedroom in one day! The client's review stated that our 'seamstress work is second to none'!